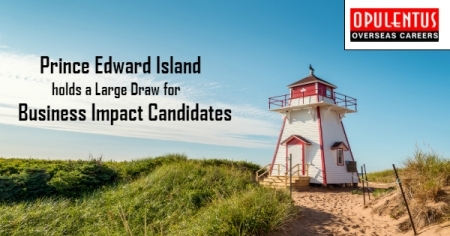 Prince Edward Island has invited a large batch of business candidates in 2018 in latest immigration draw. The province has issued 50 invitations for applying in its Business Impact category in the draw held on July 19. 75 skilled worker candidates also received the invitation in the Labor Impact and Express Entry categories. PEI has now conducted six draws in 2018. It has invited 531 skilled worker candidates and 126 in the Business streams. The minimum points score for Business candidates is 117. Express Entry category of P.E.I. works by considering candidates who are already in the EE Pool for a provincial nomination. This nomination makes an addition of 600 points to the CRS score of a candidate. Moreover this issues a guarantee of an Invitation to Apply for immigration. The process of applying for a provincial nomination from the Island is that a candidate already in the EE Pool must complete a simple form which appears posted on the website of the provincial government. Additionally it has no application fee and when a candidate completes the form it is a sign of an expression of interest for migrating to the Island. Provincial officials only contact such candidates who are fit and worth pursuing.